Problem 3: What system should I use for organizing students in the room? My Must Do/May Do sign from 1st Grade Pandamania. Can be found at the Recommended Reading list at the bottom of this post. During student teaching the only system I saw for organizing kids in the room during small groups was rotation station style. I grew increasingly frustrated with this model during my first two years of teaching, and sought out alternatives. I found the Must Do/May Do model on Pinterest, tried it, and loved it. Oddly enough I still liked the rotation station method for math centers, as I was able to quickly see all my students and keep the room and energy moving. In today's post I am going to share with you the pros and cons of each method! Rotation Station Style: Students are assigned stations around the classroom and must stay with their group and station for a set time period. When the teacher signals (or slides change, or timer goes off) students rotate with their group to the next station. This repeats until all students have gone to every station. Visually the teacher can easily see which tasks students are completing. All students will meet with the teacher. Students can use a visual, like slides or pocket charts, to see which assignment and station they are supposed to be in. Can quickly get a set of tasks done if each rotation is about 10-15 minutes long. Students can get each other off-task since they must stay within their station and group. Takes a long time to set up stations/assignments/teach procedures. Teacher has to be prepared to teach a lesson to all students/majority of students daily. Must Do/May Do: Students have groups and two lists of assignments: a must do list, and once those are complete there is another list of activities they may complete. Students do not need to stay with their group, and there are no stations. The teacher is free to pull whomever they choose. Teachers have more flexibility in the Must Do assignments, and can create more accountability by tying them to current class work. Harder to visually "see" where students are in their assignments. Extra flexibility can mean more work on the teacher. Since the same groups are not being pulled in a predictable manner, it can be tough to make decisions about who to pull and why, and then more work to plan the lessons. Takes a lot of time to teach the procedures to students at first. Different activities for Word Work and May Do. I hope that this post has given you some good information about the two methods. Be sure to check out the Recommended Readings to see the original sources for these two ideas, and download the Must Do/May Do freebie offered by 1st Grade Pandamania! Next Week: Assessing students in small groups. 1st Grade Pandamania: Must Do/May Do; An Alternative to Rotating Reading Centers. 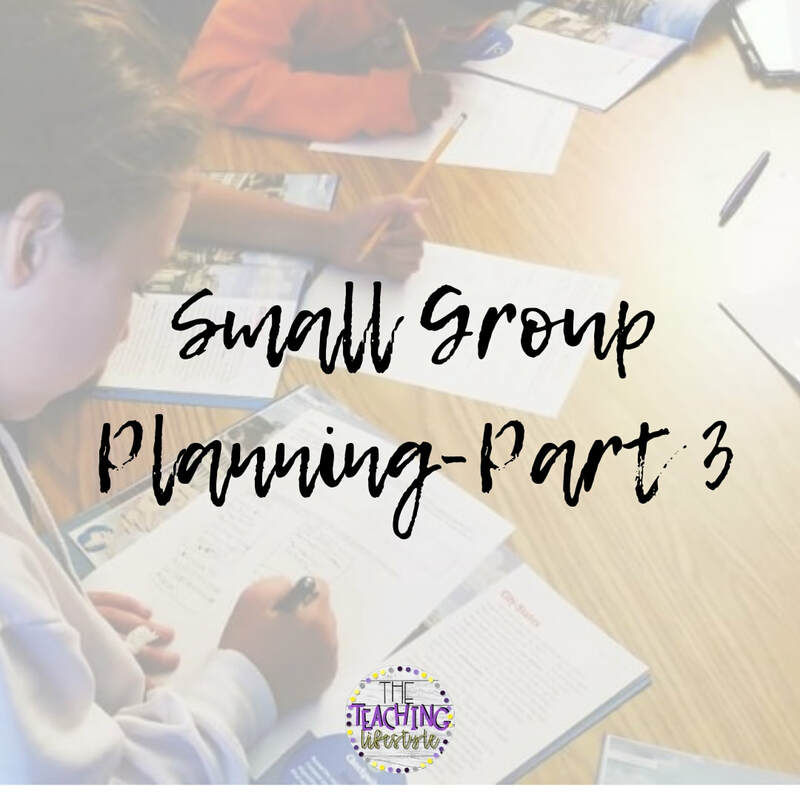 For the next four weeks our topic is going to be small group planning, for reading and math. If you were part of my Instagram Stories poll I asked my followers a series of questions about what stresses them out as teachers. Small group planning came out on top as something that stresses you out! The purpose for small groups, in either math or reading, is to guide students with a specific goal in mind in order to teach them to be independent learners. Usually this occurs for a set block of time, where the teacher pulls groups, and the remaining students not meeting with the teacher work on other skills independently. 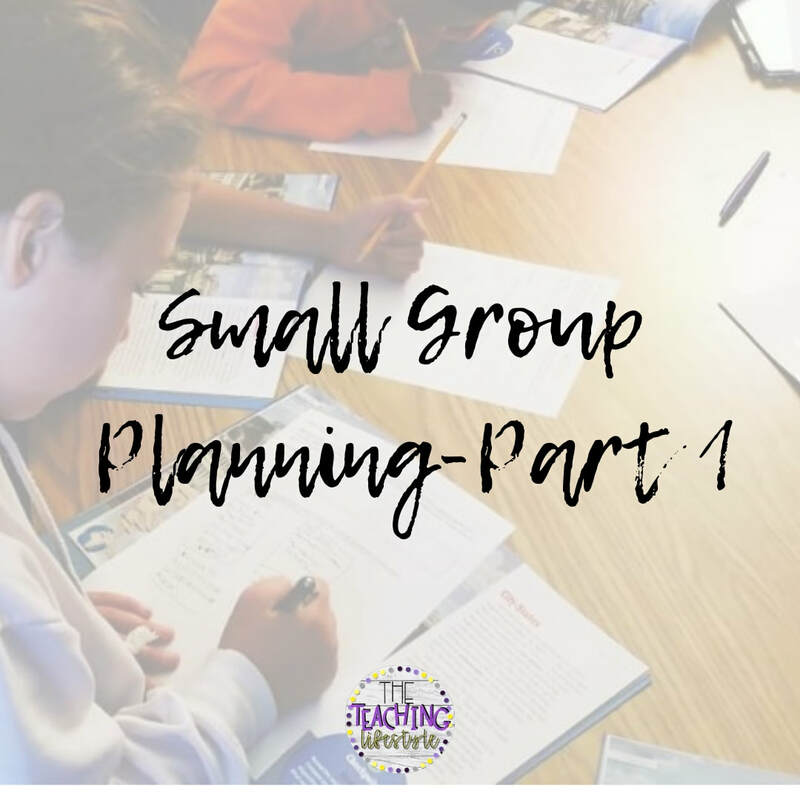 Small group planning has a unique set of problems and moving parts that need to be solved in order for the teacher to effectively manage his or her small group they are currently meeting with. This post is Part 1 of a four part series on Small Groups. In today's post we will focus on the most important aspect of small group learning-what the teacher is teaching! Problem 1: Planning Teacher Time for six groups at different levels for 180 days is exhausting! My first year of teaching I totally sucked at small group reading time. I had only seen it done well one time during my student teaching, and it was with first graders. I never saw how she planned or when she gathered her materials, so when it was time to do it myself I was completely lost and had no clue how to start. Eventually I landed on the Must Do/May Do system (which I will talk about in another post), extended my planning out to more than one week, and met with less groups for longer so we could dig deeper. 1. Targeted Instruction: What are you teaching and to whom? Use an assessment to test your class on a particular standard, skill, or focus to determine what they all need to improve on. In reading for littles this should include phonics, sight words, and fluency. For mid to upper grades we should still include phonics, sight words, and fluency because we all know upper grade students come to use with gaps, but now we want to include comprehension and writing skills as well. In math take a look at the core standards for your grade level and find an assessment that will take a dipstick for each core area, but for all ages students need to be assessed on their place value knowledge above all. Once you have assessed your class you are ready to group students by the skills they need to work on. One thing I like to do to reduce the amount of planning that is needed is to find a common standard that all kids need, and plan instruction around this standard at different levels. For example, in general my class may need more work on theme, so I choose to teach R.L.2, but the second grade, fourth grade, and seventh grade versions of this strand because that's where my groups are. In this way I target planning for myself and my students so that the learning doesn't seem so fragmented and difficult to organize. Reading Assessment Examples: NWEA, PARCC, iReady, DIBELS, CORE Phonics Screener, Oral Reading Analysis, Running Record, exit tickets, writing samples, and any assessments included with your school's curriculum. 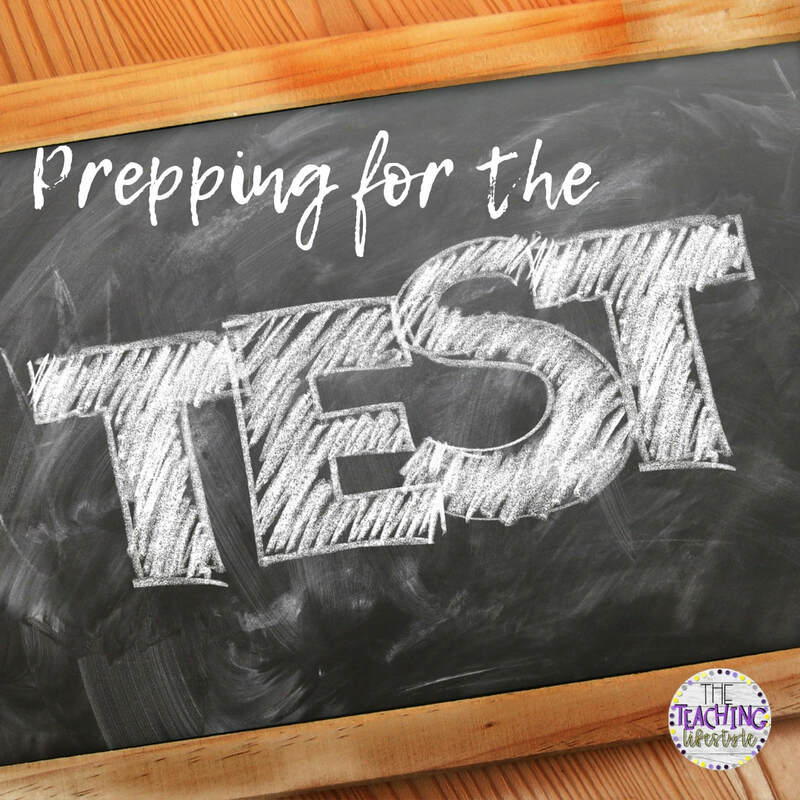 Math Assessment Examples: Pre-assessments (this could be as simple as giving the end unit test first before you start the unit), exit tickets, blank multiplication charts, math screeners, and any assessments included in your school's curriculum. 2. Plan and gather materials: Be intentional! Now that you know what your goal is for your students and you have them specifically grouped, you can plan intentionally how you will teach this skill. This is usually where the roadblocks come in. I know many teachers who can assess and group, but get their minds in a mess over HOW to go about teaching it. My personal opinion on this is because targeted small group teaching can feel so fragmented; where is the bigger picture? Are we as a group actually making progress? How will it all fit together in the end? It's also difficult because there are so many skills to work on! How do you pick? To think of bigger picture, go back to your standards, specifically priority ones (hint, check the item specifications for your states test to see which standards come up most frequently.) Then think of which skills most of your groups need right now in order to build upon other skills. Now you have a plan for small groups that is targeted in the micro and macro sense. If any students master skills then move them to a different group. Think about the best way to keep your plans. Will a digital table on Google Docs work? Do you need formal written plans in your planner? A simple spiral notebook? I've tried many ways to keep my plans, both paper, journal, and digital, and the best way for me to keep track of my long term and short term small group plans is to put them on a single table on Google Docs so I can always refer to them wherever I am. If I want to take a trip down to our book room I don't need to run to my room to look at my paper planner, I can pull them up on my phone. For math, I used exit tickets and sorted my students every day based on how they did the day before. I had three to four groups: remediation where we reviewed the skill and its connection to the current skill, high achievement group where we extended and dug deeper, and one or two mid-level groups that needed to solidify their skills and tighten up strategies. The bigger picture would enter in when we would move past the current unit and address gaps. 3. Determine your time frame. Here is the key to success: SLOW DOWN. Early in my career I would plan for one book per group per week. I had 15-20 minutes to meet with my groups each day. We never got through all the skills I wanted to cover and every week I felt like a failure. I was exhausted as well because although my plans were solid, I was always planning! So, this is another roadblock. Why spend hours planning when you can't get to everything? Solution, slow down. Spend two weeks per book. Really dive deep and get to analyzing and critiquing. Get to writing! See mastery happen! Instead of spending 15 minutes per group, spend 30. I know, I know, it seems crazy. But really, it gives you time to think ahead. I usually keep Google Notes up and jot down ideas for the next two week block (remember to cover compound words; this group needs practice with adding fractions; this group really loves animals find some books.) Look over your notes while you plan for the next block and insert these ideas into your plans. 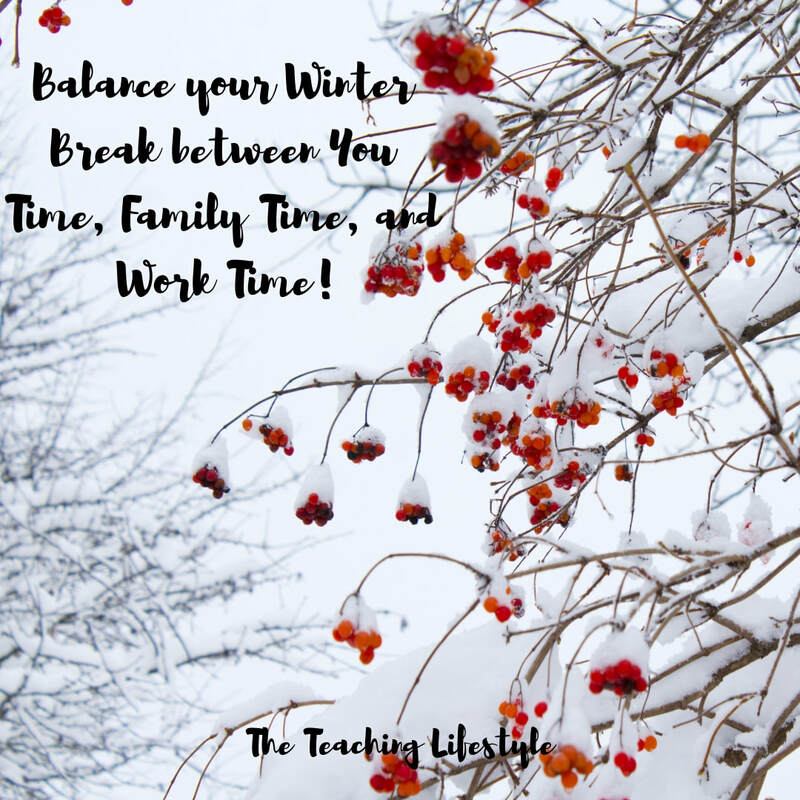 You will still be working within your big picture framework we talked about earlier, but including all those skills that drive us crazy that your kids need right now because you observed it. Also, don't be afraid to chuck your plans. If halfway through week one you realize your mid-level group would understand a concept better with something else, go with it! Small groups is one of those times where you can chuck what you planned, because even though you planned a specific activity chucking it doesn't mean you are throwing out everything, you still have your big picture plan! Now it's time to teach. You've tested, grouped, planned, collected materials, organized them, now all that's left is to pull the groups and get to work. Cherish this time with your kiddos, because they really do look forward to this time with you. It's the time for your shy kiddos to shine and feel confident. It's the time for them to ask questions, make mistakes, and get messy (yes, I did just quote Mrs. Frizzle!) and it's the time to make those relationships and connections with your kiddos. The hardest part about groups for me isn't the tests and planning and materials and all that, it's gathering up the energy to actually sit down and DO IT. I get wrapped up in my day and that I could answer just one more email, or type up one more IEP report, or, or, or. Then I remember that my student is finally starting to pause before looking at words with cl- blends. That student I had a great discussion with about Nazi Germany. The students who finally GOT equivalent fractions. If you start to get overwhelmed, then simplify. Just do writing, or Word Study or math facts. Use your Scholastic News and dive deep. Print off an interesting Newsela article and discuss in depth. For a couple months I threw all my plans out the window and turned Teacher Time into a Book Club where we discussed chapter books together and wrote short responses. I saw so much growth in that time span. Part 2: What should students do when they are not with me for Teacher Time? The Crock-Pot of Sub Plans! You wake up and it's 5 am. Stuffy nose, sore throat, hacking cough-great. You thought you could make it one more day, but you feel miserable. Now you have two choices; take all the meds you can find in the medicine cabinet and tough it out, possibly risking making yourself worse; or wake up and try to cobble together some sub plans to send over and text your teammates hoping they can make some copies for you. Neither choice is ideal. Ah sub plans, besides grading, probably the worst nightmare of every teacher. Waking up sick with nothing lined up for kids to do. I see it all the time in memes on Instagram, comments on Facebook. "It's better to drag yourself to work sick then make sub plans." Whenever I see this comment I am genuinely confused. When I am sick, I stay home. Period. Not because I am some miracle worker who can whip up sub plans, but because my sub plans have been made and ready to go since August. They don't change. This post is all about setting up reusable sub plans that will actually allow kids to get some work done, will take you maybe an hour to prep one time, with some maintenance mid-year, and then you set it and forget it. Kinda like a Crock-Pot! The next time you get sick you can take a blessed break without worrying about plans. Doesn't that sound lovely? Some of this may take awhile to gather and sort out, but let's pretend it's the week before school starts and you're doing this in August. It can be done now, wherever you are in the school year, just don't get sick yet! Go home list: Where do your kiddos go for dismissal? Here is the link to my emergency sub plans for the sub. This the bones of the operation, and I have gotten excellent feedback from many subs saying they are very thorough and easy to follow. All of the ingredients we gathered will be put together in this format. When you click on the link it will prompt you to make a copy. Be sure to read through them one time, and take note when I say to enter your specials schedule, daily schedule, etc. Sometimes I like to print them in color and laminate them for re-use. These will go in a binder in the front. Next should be a print out of your daily schedule, split class list, duty schedule, Go Home List, and Pull-Out schedule. These are just for reference. I like to put all my nurse passes, buddy slips, band-aids, and Caught You Being Good tickets in a plastic pencil case with binder holes and a zipper top in the very front of the binder. I do not usually include a class list because our school gives a current one to every sub when they check in. At this point you're probably thinking, "Thanks for the free file Mae, but I still don't have anything for the kids to do! Where are these amazing reusable plans?!" Here is where I am going to tell you to hop over to TPT and put in the search box "Reusable Sub Plans" or "Emergency Sub Plans." The idea is the same for them all, so you could easily make your own, but if you are like me then we are too lazy for that! Basically kiddos need a fiction book, any fiction book will do. In the past I printed fiction books on Reading A-Z to have ready, but I got too lazy for even that. So now I just prep my kiddos and tell the class "If a sub is here use a fiction book from your Book Box with the packet." I have also found ones where kiddos use a specially created website to search for different facts. It is well worth the money, I promise! The worksheets you will find on TPT will cover things like characters, setting, writing, word study (how many nouns in your book, verbs, etc.) Almost all use the fiction book for math and science as well (graph how many times the word "the" and "very" and "and" are in your book.) It's genius really. I like to put the packet in order of our normal schedule, so if the first thing we usually do is writing, then the first page on the packet is the writing page. I always make sure to tell the sub in my plans to model the page and pull a small group, and I give the sub name of who to pull. There is nothing worse than my IEP kiddos struggling when I'm not there! Once you set it up and throw all the printed packets and the binder into a tub, that's it. You're done. All you ever need to do is refresh the packet. Some plans are even multi-day ones for when you have a nasty flu. I like to include my password to GoNoodle so my kids aren't doing seat work all day (which we all know breeds misbehavior) so be sure to put in the emergency sub plans when would be a good time to take a brain break or go outside for 5 minutes. I really hope this post is clear and helpful. I want all my teachers to feel confident in their sub plans so that they can actually STAY HOME when they are sick! In my first years of teaching I realized something about this profession: I really hate grading. There, I said it! I know I am not the only one, and in the beginning I was really horrible at it. I let piles and piles of ungraded work sit around for weeks until it was Report Card time. Then I frantically took everything home and graded hour after hour, feeling more and more irritated at myself for letting it go unchecked. I would grow even more disappointed with myself as I graded papers from weeks ago, realizing that I missed so many opportunities to help my students. I knew I had to change what I was doing...I just didn't know how. I looked on Pinterest for help in grading, what did other teachers recommend? I found tips on reducing what gets graded. I no longer graded homework, instead I started checking for completion every morning. I stopped grading every worksheet, instead providing master copies for students to self check. In the end I realized that while I had reduced what I graded, there was still a lag between what I taught, and the evidence for learning that students turned in. Even if I graded an assignment a week later, which was a vast improvement over weeks and weeks (or months, don't judge! ), we had already moved on by then, and I lost the value of Right There Feedback. Plus, I kept noticing how surprised students were when they got their Progress Reports or Report Cards back, and I realized: they had NO CLUE where they were in their learning goals. Finally, I decided enough was enough. I was just going to have to make time to grade student work right then and there, in the moment. This thought came to me when I ran across a blog article on Pinterest about grading tests in the moment, and I had a lightbulb come on, why couldn't I do that for everything? Halfway through last year is when I made the change. Every Sunday I went through our math lessons for the week and made a Master Exit Ticket for each grade level with the answers filled in, and sentences explaining my thinking. I trained my second and third graders to grab a crayon when they were done and come up to my desk to check their exit ticket against the Master Copy. One star for correct answers, two stars for correct answers plus sentences explaining their work. The effect was immediate. Students no longer rushed through their Exit Tickets, and instead spent extra time double checking and writing explanations (Second graders!!! Third graders!!!) When they came to check their work they would whoop with joy at their progress, or ask thoughtful questions about errors. "Oh, I see...I didn't add these right. Why do we have to do this step first?" I have continued these practices into this school year with my fifth graders. For every whole group reading lesson I grade them as they start to finish, giving feedback in the moment. Students have stopped being surprised at the end of trimester grades, as they have seen their progress daily since August. Here is the key to this method: only grade what is vitally important. This will obviously depend on you, and what you feel is vitally important. When I taught math and reading I only took two grades a day, math exit tickets and reading reflections for our whole group lessons. Once a month was a writing grade for a final piece, and I did completion and participation for science. That's it. The only exceptions were module tests and reading tests every few months, and I did the same thing, grade it right then and there so they could see how they did. Now that I teach strictly reading and writing, I only take one grade a day for each class, and only for our daily whole group lessons. Everything else is participation and completion. Now I have online reading tests with Benchmark that I transfer to Google Classroom, so they see how they did the next day. Think outside the box when it comes to grading, and give yourself and your students some slack. Unless it is mandated by your district to take a certain number of grades, I would stick to just the essentials and make it meaningful for you and your students by grading and giving feedback as students turn them in. Use that data to push students, or to pull a small group the next day. ​If you try this method let me know how it works out in the comments!